Model No. : HP-U2106F3 | Dell P/N: 0N1238 / N1238. DC Output: 210W. Size Chart. -12V = 0.5A. 12V = 12A. 5VFP = 2A. 3.3V = 10A. Compatible with select Dell Desktop (DT) Computer systems including (this is not a complete list) This is a genuine/original Dell part! MT (Mini-Tower), DT (Desktop), SFF (Small Form Factor), and USFF (Ultra Small Form Factor). Compatible Part Numbers: W5184 0W5184 CN-0W5184 U5425 HP-U2106F3. Part Number: W5184. Fits model(s): DELL OptiPlex GX280SD Desktop Tower Server. The item is very clean and in 100% working order. DC Output: 210W. Does not include power cable. Size Chart. -12V = 0.5A. 12V = 12A. 5VFP = 2A. 3.3V = 10A. Output : 210W. Dell Part # 100-120V, 5A. 3.3V - 10.0A. -12V - 0.5A. Dell Optiplex GX280. P6 - 5 Pin (6 Pin) Dell Sata Connector Cable. Laptop DC Power Jacks. P1 - 20 Pin ATX Main Power Connector Cable. P2 - 4 Pin ATX 12V Power Connector Cable. P3 - Sata Power Connector Cable. Fully tested, in excellent working condition! New Dell computer power supply. Part numbers - U5427, R5953, PS-5161-7DS. This item was pulled from a new computer or is old stock. Compatible with Dell Optiplex GX280. This power supply is 160 watt and has the following connectors P1 - 20 Pin ATX Main Power Connector Cable P2 - 4 Pin ATX 12V Power Connector Cable P3 - Sata Power Connector Cable P4/P5 - Floppy/CD Connector Cable P6 - 5 Pin (6 Pin) Dell Sata Connector Cable. DP/N: 0U5425. Dell Optiplex GX280. Model: HP-U2106F3 REV A03. Max Output: 210W. DC Output Combined Power on 5V and 3.3V output is 108W. 1x 15-pin SATA Power. 1x 4-pin IDE Power. Working pull from a dell optiplex gx280 full size tower. P4 - 6-pin Dell proprietery connector. Output Power 250 W. output 250 Watt max. Connectors P1 - 24-pin ATX Motherboard Power. P2 - 4-pin P4 motherboard power. DELL PN# 2N333 4G456 4R656 U4714. This item has NO SATA CONNECTOR as showing on the pictures. This is in excellent used condition and was thoroughly tested to ensure optimal performance. The connectors on this unit include 20 pin 4 pin, standard 4 pin molex power, a floppy drive power connector and a SATA power connector. DELL Optiplex GX280 250W Power Supply 0D6369 NPS-250KB J TESTED! FREE SHIPPING! Dell OptiPlex genuine GX620 GX520 GX280 280W Desktop Computer power supply F5114. Condition is Seller refurbished. Shipped with USPS Priority Mail. 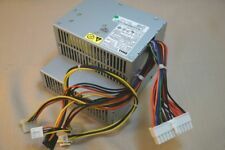 Dell Optiplex GX280 SFF Slim 160W Power Supply PS-5161-7DS (Tested) Condition is Used. Shipped with USPS Priority Mail. Dell Part # M8805. Pulled and Tested from Working Dell Optiplex GX280 Desktop. Part Number: 3N200. 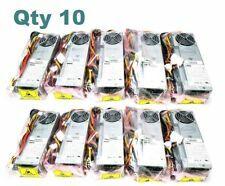 Fits model(s): Genuine OEM DELL Optiplex GX150/240/260/270/50/60 Ultra/SFF. NO EXCEPTIONS! Used - Clean / Tested / Working. Compatible Systems: GX280. Output Power: 160W. Form Factor: SFF. SATA Power Connector Cable. 5 Pin (6 Pin) Dell proprietary connector. 20 Pin ATX Main Power Connector Cable. 4 Pin ATX 12V Power Connector Cable. Compatible Part Numbers: 0U4714 CN-0U4714 W4827 D6369. Part Number: P2721. - Optiplex GX60 GX240 GX260 GX270. 6-Pin Dell Connector. Max Power: 160 Watt. Condition: New. Dell P/N: 0W5184. OptiPlex GX270, GX280, and others. Removed from a good Dell OptiPlex GX280 computer, in good condition. Fits Dell Output: ATX power / 210Watt. Condition: good condition, technically - 100% OK! Be sure to add us to your. favorites list ! Used but in good condition working. Be slightly different from what you see on your screen depending on the pictures and your monitor. receive a response within 48 hours. POWER SUPPLIES. We take the hassle away! ‣ Power Supplies. 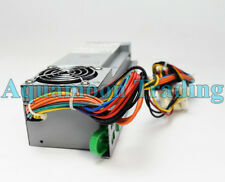 Replaces common PC power supplies! ‣ Hard Drives. Compatible with most motherboards! Input Frequency Range: 50/60 Hz.